Pedroni is an Italian bike brand that still manufactures all of its carbon and alloy frames in Italy. Being located right in the heart of Italy’s ‘motor city’, you know where Ferraris and Lamborghini’s are made, the company prides itself on making high-quality products with ‘competitive pricing’. 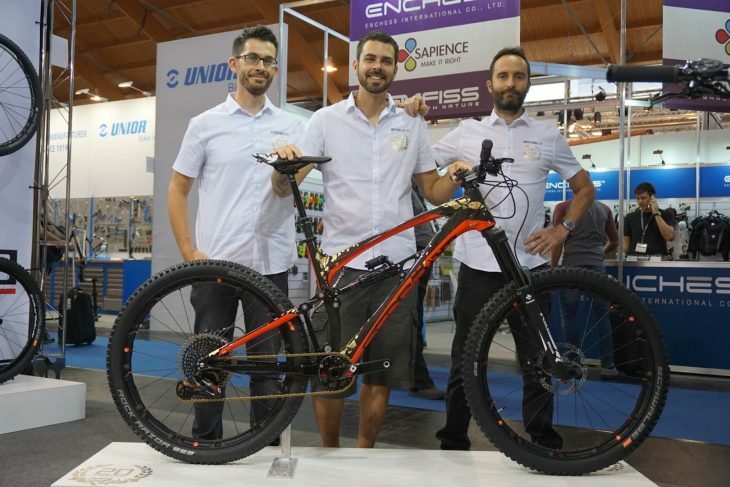 Just 20 of these 7,500 Euro bikes will be available to buy. Now we’re not saying that this 7,500 Euro limited edition Lupo Gara is cheap, but considering that this boutique Italian brand only makes 150 frames a year, and each one is painted by just one guy, it’s not a million miles off what some big brands charge for a Taiwanese made bike. 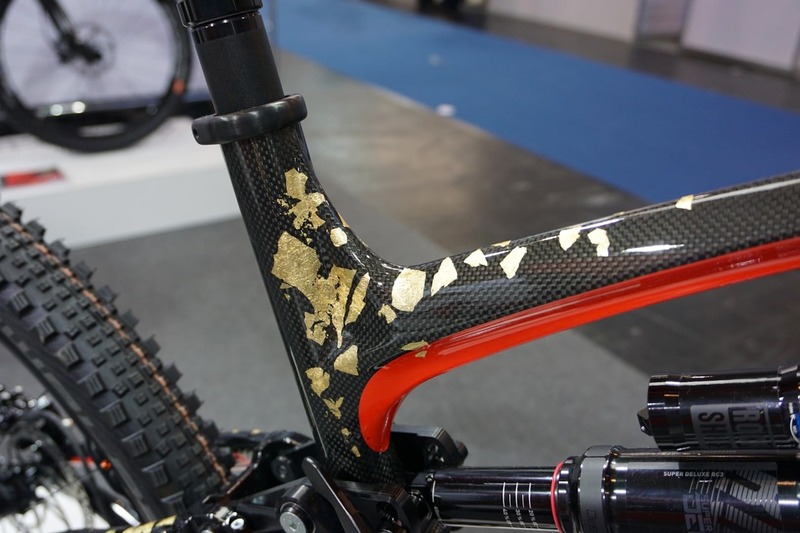 Just 20 of these handmade enduro bikes will be offered with real gold leaf design, and as each leaf of gold is placed by hand every one of those 20 frames with be completely unique. The limited edition bike celebrates 20 years for the company. The standard Lupo Gara’s pricing ranges from 4,000 Euros – 6,000 Euros, and while it won’t get you that VIP gold treatment you do still get a quality handmade and hand-painted frame. Keeping true to its homeland, Pedroni Cycles tries to source as many of the components they spec on each of its bikes from other Italian manufacturers. 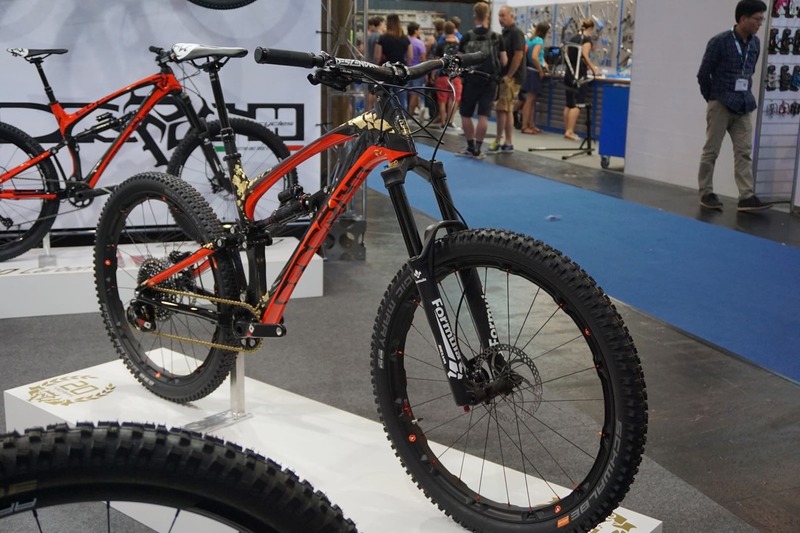 Forks are from Formula, as are brakes, and the 4D carbon rims come from Alchemist. FSA also play a big part in bike specification, however, rear shocks and drivetrains come mostly from SRAM. 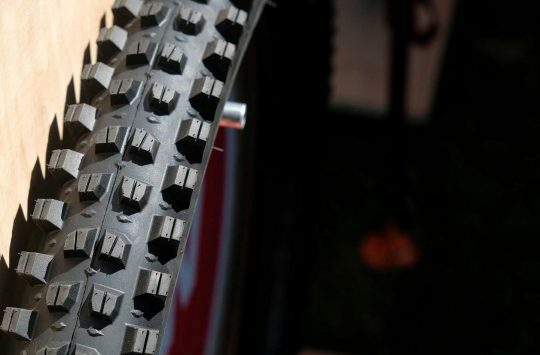 Although Pedroni likes to spec Italian parts they still feel the RockShox shock offers the best performance. When speaking with the Pedroni team we were surprised to learn that the Lupo Gara actually has more rear wheel travel than the front, 170mm on the back vs 160mm from the front. The Evo Linkage adjusts compression but not geometry. In addition to that extra 10mm of travel the Gara version of the Lupo also has a quick release EVO Linkage that than can transform the compression curve of the rear shock. We’re told that the highest position gives the bike an almost downhill bike like feel with the rear wheel hugging the ground. In the lowest position, the curve changes and gives a more playful feeling ride. 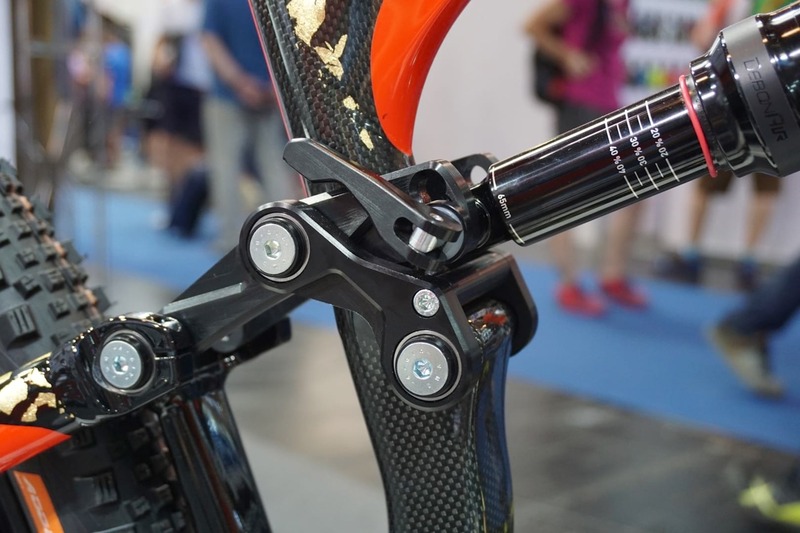 By design, the EVO Linkage only affects compression, not geometry. When asking about geometry we had another surprise. Pedroni measures head angles in its static position while seat tube angles are listed under sag. Pedroni says that this is the ‘true’ geometry. Taking rear suspension sag into account, the Lupo Gara has a slack 64.5 head angle and 73.5 seat tube. 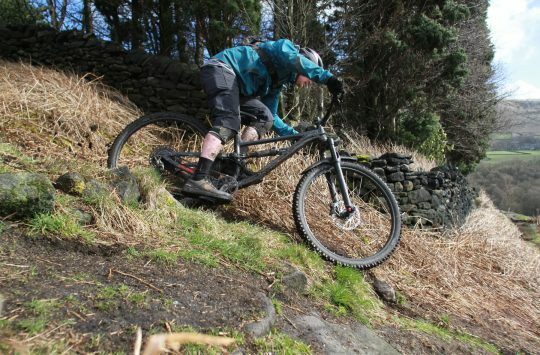 Reach ranges from 408mm on the small frame topping out to only 457mm on an XL, so not exactly the longest of bikes in the world, but then again not everyone ones a super long enduro bike. The Lupo Lite has slightly less travel. Pedroni also offers the Lupo in a ‘lite’ version with similar carbon construction, but a slightly steeper 66.5 head angle. Interestingly reach increases with the small getting 427mm and an XL 478mm. 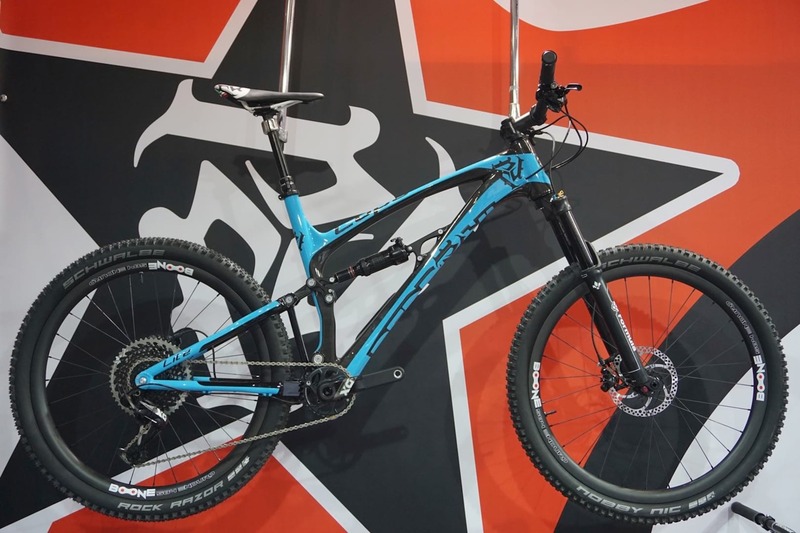 Being the ‘Lite’ version of Pedroni’s enduro bike means slightly less travel, with this ‘Wolf’ receiving 145mm of rear wheel travel and 140mm of front wheel travel. 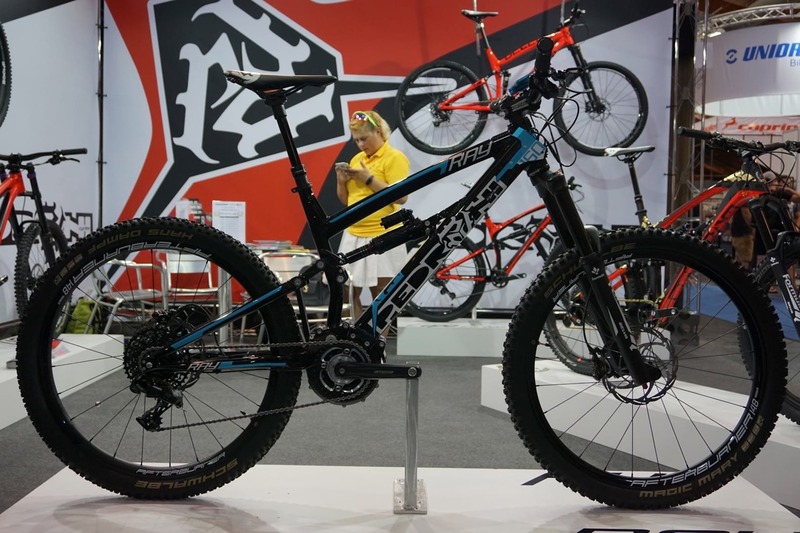 The Pedroni Ocelot is the all-mountain bike in the range with 120mm travel front and rear. 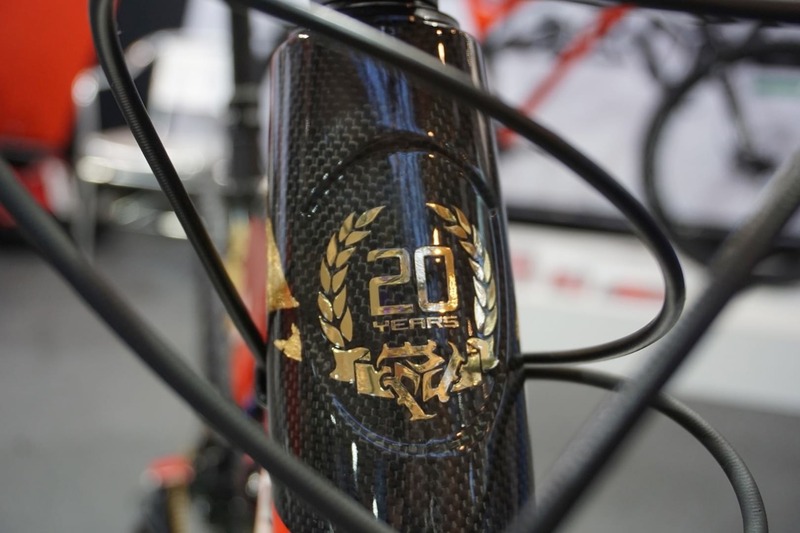 Although Pedroni spends 90% of its time crafting carbon fibre bikes, the small Italian team also has time for making alloy bikes. 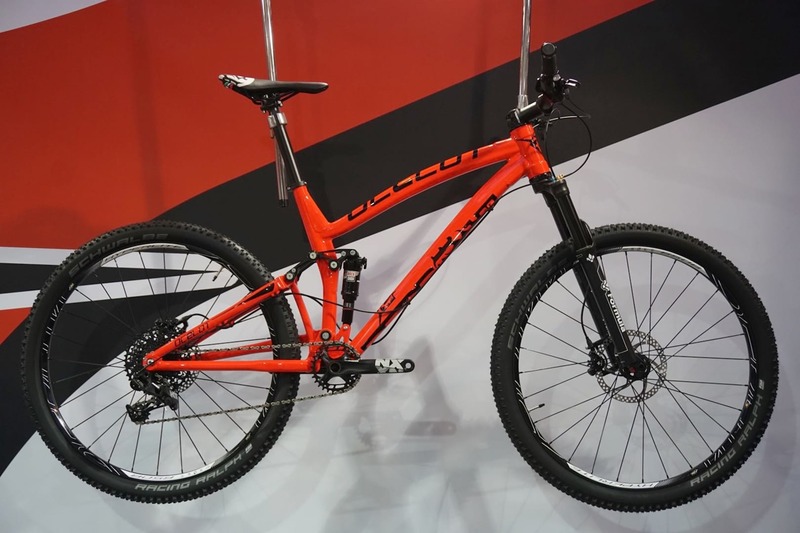 The Ocelot is an ‘All mountain’ bike which bucks the Pedroni travel trend with matching 120mm of travel front and rear. Yup, they have an e-Bike too. The Ray can be built with a huge 999w motor! Last but by no means least is the Pedroni Ray, and yes it is an Italian made e-Bike with an Italian made electric motor. 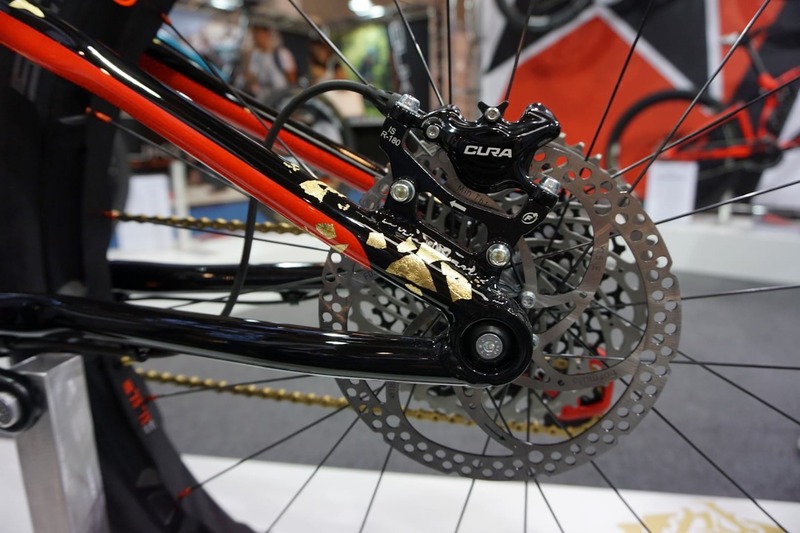 Pedroni teamed up with Bikee Bike Drive Units to create a custom drive system for the Ray with 4 optional power levels. The lowest power 250w and 500w systems are designed for the EU, so we’re guessing the much more powerful 749w and 999w versions are for elsewhere. The Ray has a whopping 174mm travel frame, 160 mm up front, and an integrated battery with cool little air intakes on the head tube that look like the wings(?) of a Manta Ray. These collect enough cool air to keep the large 840w battery running at optimal temperatures. Again, we’re looking at Italian components including a Formula fork and Formula brakes, but this being the most recent bike to enter the range we’re seeing a more progressive geometry. 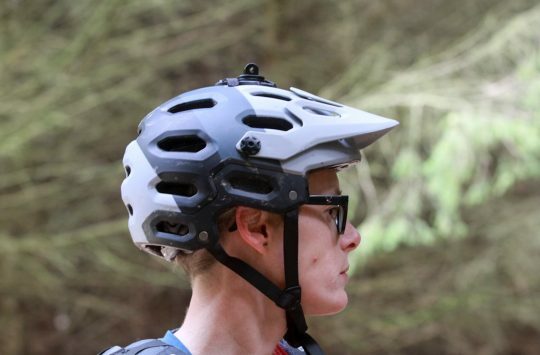 Reach is boosted from 426mm to 495mm on the XL with a medium frame getting a decent 441mm reach. Oh, and yes it does have integrated LED front lights too. The proud Pedroni crew at Eurobike 2018. Let us know what you think of these Italian made carbon and alloy bikes in the comments section below. Oh, and what do you think of having more rear travel than front travel? 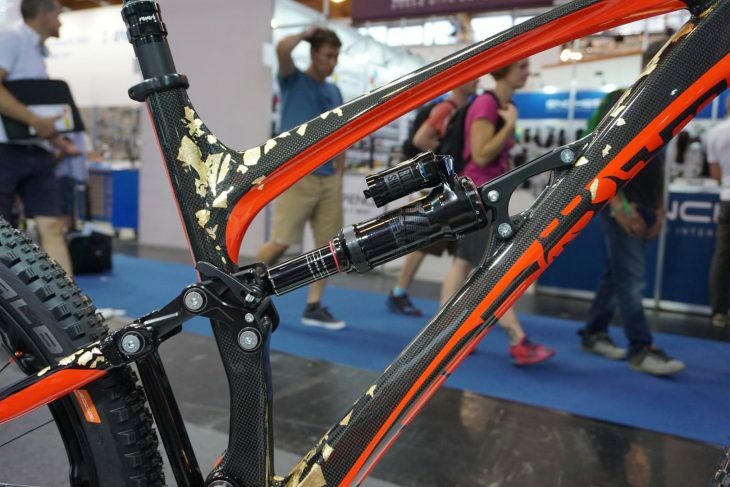 If you’re enjoying our coverage of Eurobike 2018, remember to follow us on Facebook to get the latest news as it happens. 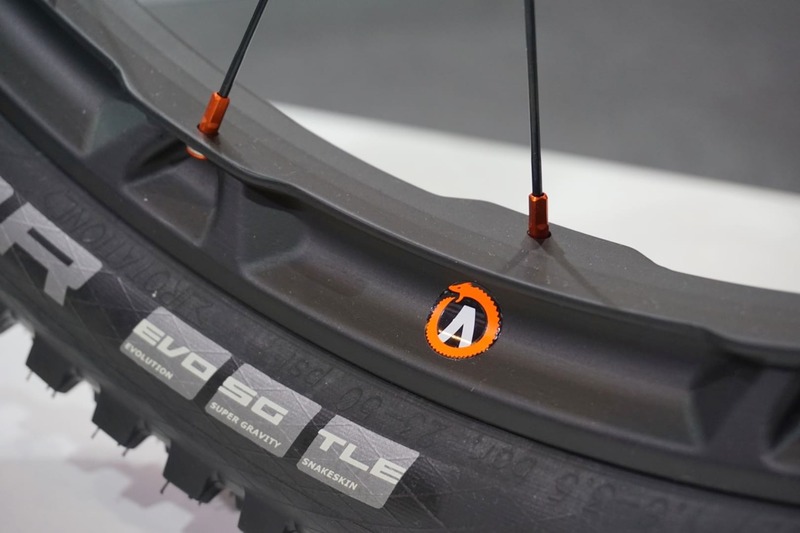 More Eurobike news incoming. Marin called. They want their quick release back. I guess most people know gold leaf is very difficult to apply in a coheshive manner and this haphazard “nursery school design” is nothing short of being pathetic. Ah but your missing the point shout the naysayers, each gold leaf design is unique. Really I say – I reckon its only unique because the person applying the gold leaf has not got the skill to repeat any of the previous “throw it on and see what happens” designs.